Selmer Paris mouthpieces have been the gold standard for several generations now. The reason is their consistency, their ease of playability, and most of all, their unsurpassed tone quality. What you will find in each mouthpiece series is the characteristic Selmer Paris sound-beautifully warm and sculpted with a sweet center. 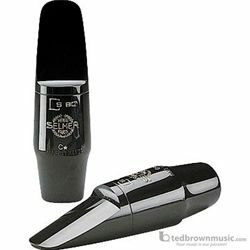 Articulation is easier, dynamic range is increased, and maximum expression is allowed on these incredibly stable mouthpieces. There is a Selmer Paris mouthpiece for every type of playing situation.